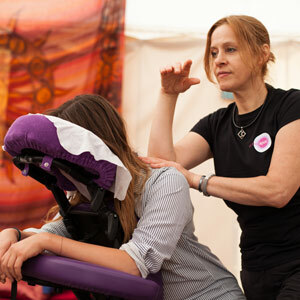 Seated Massage is a perfect way to add another dimension to your massage practice and diversify your client base, it is usually performed through clothing without the use of oils, this makes it a perfect treatment for a variety of situations and events; from muddy fields to luxury hotels, from back stage to boardrooms. 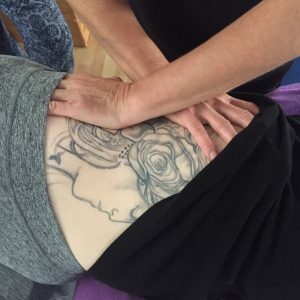 This one-day course and will prepare you with the skills required to provide chair-based massage and the techniques you learn will be useful in couch treatments too. It can be taken alone or can be further developed with case studies and a second ‘Advanced Seated Massage Workshop’, leading to a certificate of competence and possible work opportunities. This first day can be followed by Advanced Seated Massage – for details click here – on Sunday 12th May.